Last Thursday we took 6 girls from across Years 10-12 to the Southbank for a day of activities centred around ‘Finding Your Voice’. 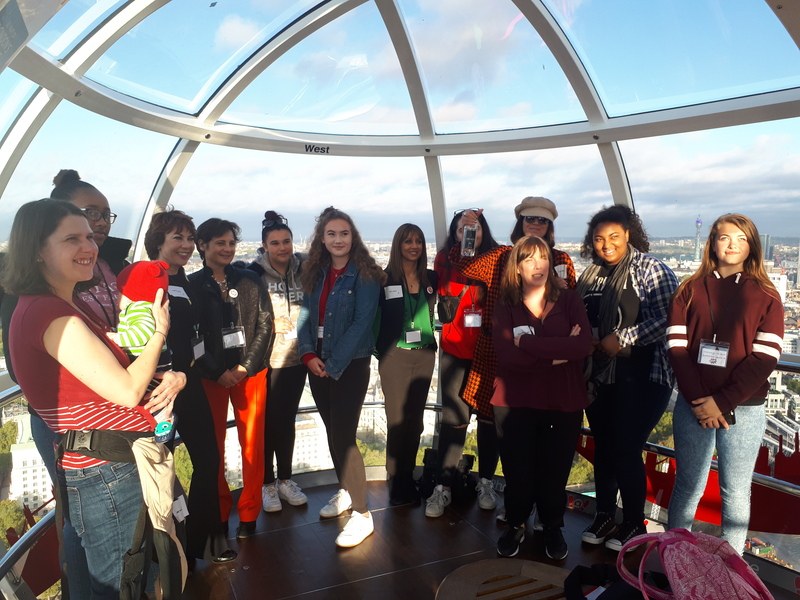 When we arrived we were immediately upgraded to the press pod and embarked onto the London Eye for an hour of speed networking with high profile female mentors from business, politics, the arts and journalism. Two girls overcame their fear of heights and speaking to people they don’t know and had great conversations about their futures. We then took part in debating and singing workshops after listening to some inspiring key note speakers. The day ended with a singing performance involving all the schools and some words of wisdom from our very own Katie Fenlon. We all left feeling empowered and determined to address some the issues that remain unique to women in the 21st century.